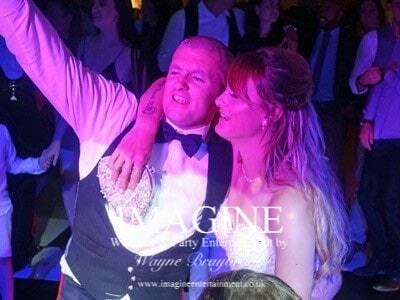 The easiest way to start arranging your perfect wedding or party entertainment is to contact me. Whether you’re looking for one of my pre-configured packages, or something more bespoke (because I can tailor a LOT of things to exactly the way you want them to be! ), get in touch and together we can come up with awesome ideas for your party entertainment! Simply fill in the few details below, and I’ll get back to you as quickly as I possibly can. It’s normally less than an hour, but sometimes it might be a little longer. Alternatively, give me a call on 01353 771303 – I’m always happy to chat about your party requirements and I won’t pressure you into booking. My fees depend on many things such as the length of your party, the distance I have to travel and many other things. My prices start at just £500 for an evening wedding reception or adult party of up to 5 hours in length. All day and part day weddings vary in cost due to the complexities of delivering the required services. Please get in touch for a personal quote for your big day. It’s actually a booking fee and it covers the time spent in setting up things like your online planning portal, the admin involved in setting up your party and numerous other things. My booking fee is £50, it’s non-refundable and is taken off of your total party cost. And so to how to book me…. On agreeing to hire me to provide your party, you’ll need to electronically sign a booking contract and pay your booking fee (full details are explained when you hire me). The balance of payment is then due 14 days before the date of your event (sorry…I don’t take payment on the night and haven’t done so for around 10 years). I've also hired a band...can you reduce your price? My fees are based on a lot of aspects (not least of all the amount of time I’m “on-site” at your function). Yes. Many venues will insist on proof of both public liability insurance and proof of PAT (portable appliance testing) inspection. I carry public liability insurance for £10 million and my equipment is tested annually by a qualified electrical engineer. I’m more than happy to pass details of these to your venue on request. Can I see you working? Only if you’re an invited guest at a party I’m entertaining at I’m afraid. All of my work is for private functions and as such aren’t open to the public. I’m sure you wouldn’t want me bringing potential clients along to YOUR party. Bear in mind also that each and every party is different. Whilst one wedding couple may require a “cheese fest”, you might not (and vice-versa). I act on the requirements of each client so what you may see at one party would be completely different to another party. Where possible, I try to capture photographs and videos of functions to give you an idea of the type of entertainment I provide. Do you do kids/teenage parties?